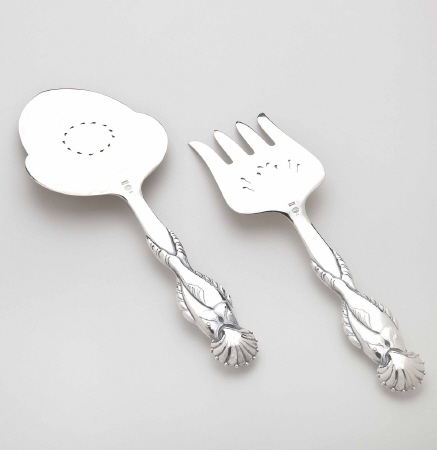 Georg Jensen 2-Piece Fish Serving Set No. 55. This two-piece set is a rare and early design by Georg Jensen. 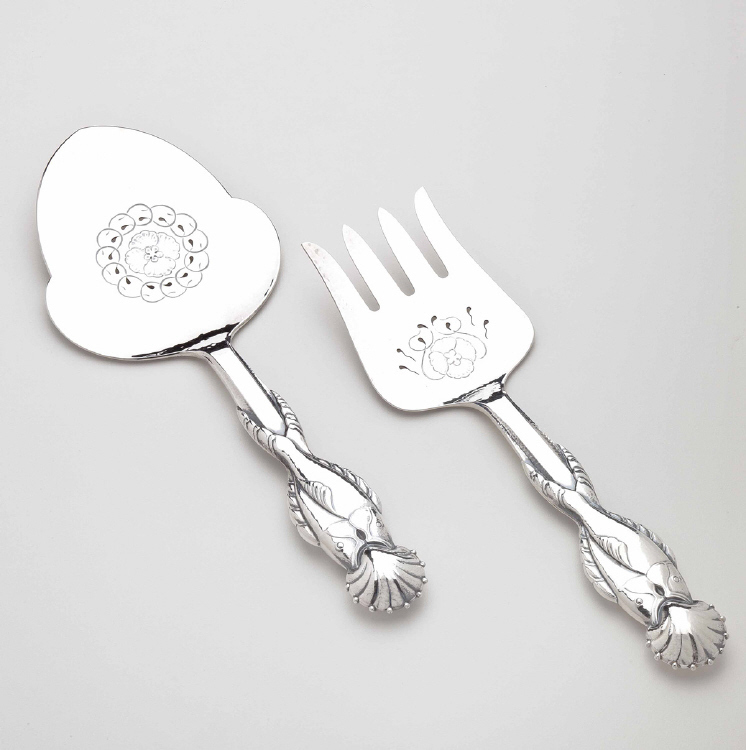 The serving fork measures 10 inches long and the serving spatula measures 10.75 inches long. Both pieces are in solid sterling silver with a double fish motif. The ends are flat with etched in floral and pierced design. Each piece bears impressed company marks for Georg Jensen, Sterling, Denmark. These fish servers are in excellent condition.